Boots are a fall must-have, but when you have wider calf, finding that perfect pair can oftentimes be a frustrating experience. However, CF is here to help! 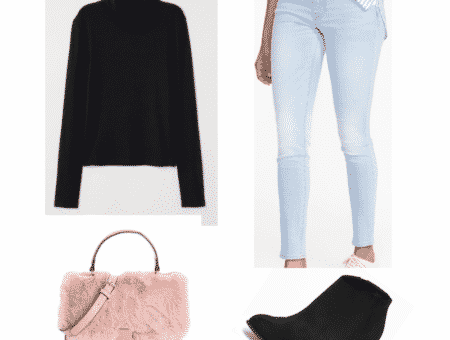 Read on to learn how to find wide-calf boots that fit, the best places to find wide-calf boots, and then check out our favorite wide-calf boots for the season. The key to finding boots that fit wider calves is to look for elastic bands embedded into the material. That way, the boot can perfectly accommodate your specific size! I’ve noticed that wide-calf boots that include the elastic bands are much more popular and easier to find for women with wide calves. However, if you aren’t a fan of the elastic band, some stores and online retailers carry boots made specifically for wide calves. These will typically be labeled as “Wide” or “Extra Wide” on the box. Click here to learn more about how to choose the correct calf size when online shopping. Lane Bryant and Avenue do a great job in offering wide calf boots every year, as most, if not all, of their shoes cater to their plus size audience. They are my top two stores for wide-calf boots as their boots are more affordable in comparison to department stores and – from my experience – a lot more comfortable. 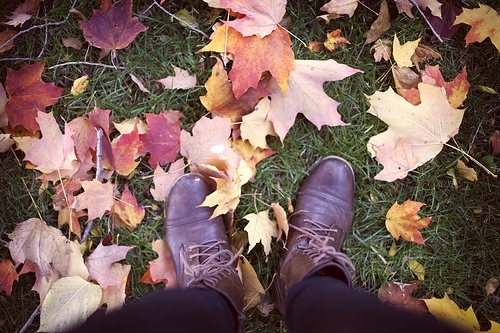 Naturalizer has a more limited variety in comparison to LB and Avenue and their prices are a bit higher, but they’re worth checking out if you’re on the hunt for the perfect pair of boots. If you’re looking for a high-quality, brand-name pair of wide-calf boots, department stores, like Macy’s or Nordstrom, carry a limited number in stock of wide calf boots. On a similar vein, DSW also carries those brand name boots, but the price point is usually much lower. 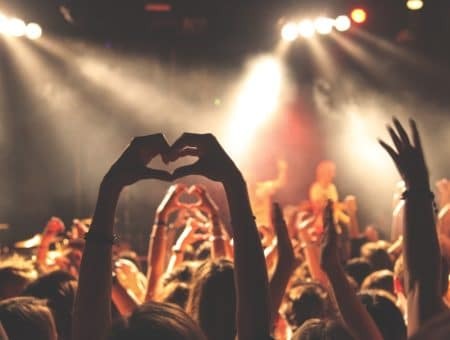 Your best bet at finding what you’re looking for in big stores like these is to ask a staff member for help or know exactly which boot you’re looking for by doing your research or even reserving it beforehand. I really recommend doing your research and checking store availability online or even calling the store beforehand to avoid making the trip for no reason. The tricky thing about shopping for boots in such huge stores is that it’s a lot harder to find exactly what you’re lookingfor among the clutter and overwhelming stock of shoes. However, it’s not impossible. Another drawback is that you may fall in love with a pair of boots that aren’t available in wide-calf sizes, so go in with an open mind and don’t let yourself be caught off-guard! 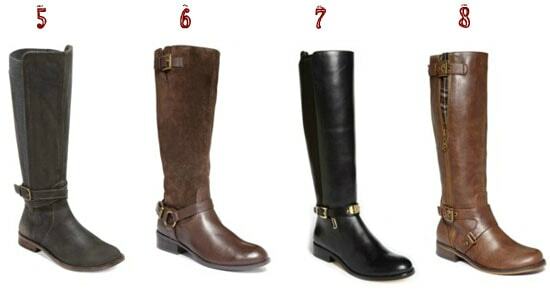 Below, I’ve rounded up my top eight wide-calf boot picks from the stores mentioned above. Once you find a pair you absolutely adore, always try them on and walk around the store as much as you can. Make sure they fit snugly around your calf. You don’t want them to be so tight that it’s uncomfortable when you walk, but you also don’t want them to be so loose that your leg slips right out. A perfect fit is a must! 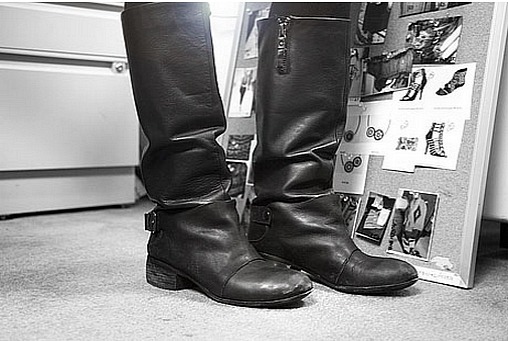 There’s nothing worse than a lovely pair of boots that hurt your feet, therefore rendering them impossible to wear. Also, this may be obvious, but become familiar with return policy before investing in them, especially if you’re ordering online. 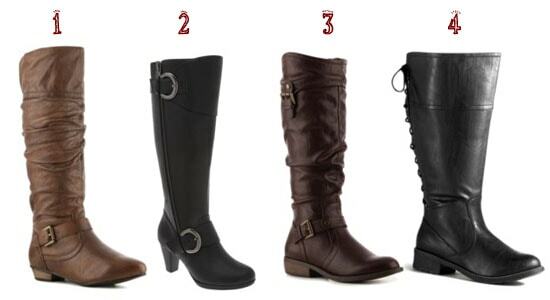 Have you encountered any problems finding wide-calf boots? What are your go-to stores for finding them? Which is your favorite pair from the ones pictured above? Do you have any tips to share? Let me know in the comments!